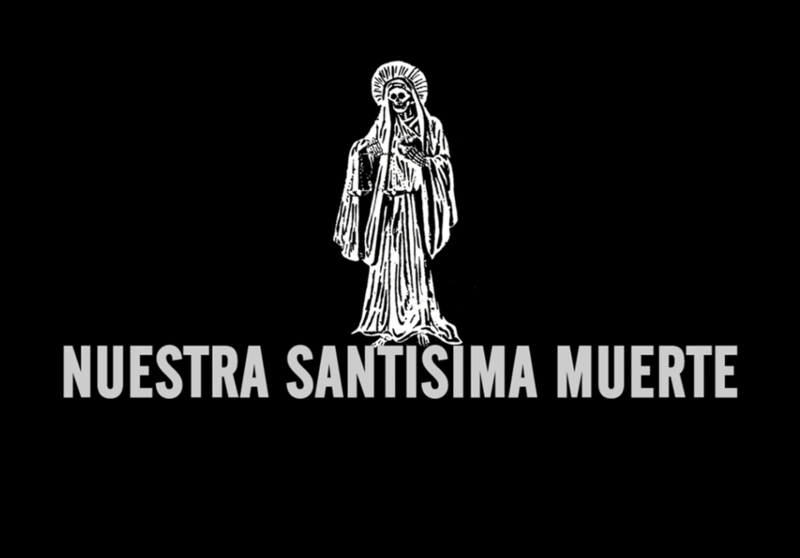 Un documentario sul culto della Santa Muerte, girato a Città del Messico. 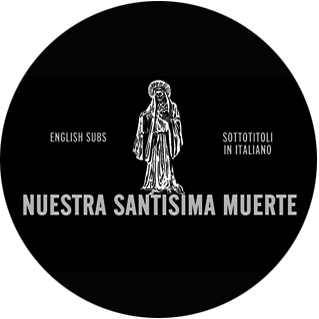 Santa Muerte e’ un documentario iniziato nel 2005. Questo era il testo originale della ricerca. Le riprese sono state realizzate nei mesi di Ottobre e Novembre 2006. 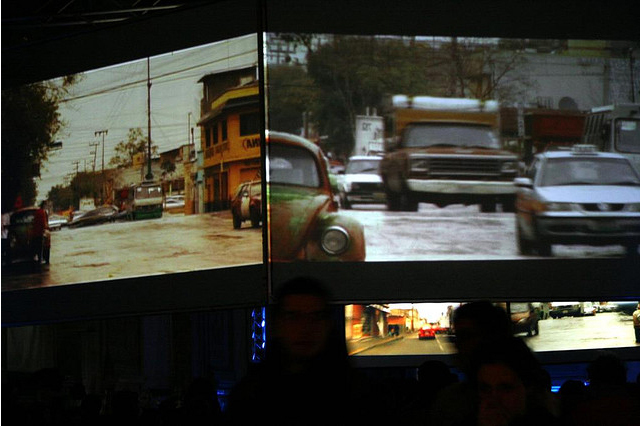 Una versione multischermo ha partecipato a Netmage07. 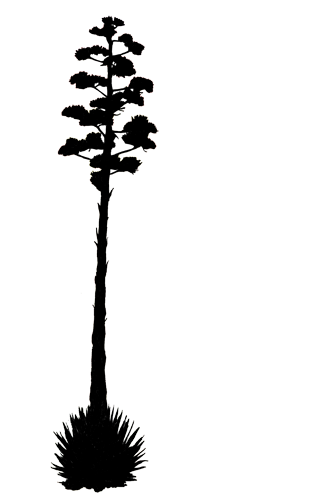 Citta’ del Messico. Ogni primo del mese una folla vistosa porta con se’ una statua della morte per farla benedire in uno degli altari cittadini dopo la recita di un rosario. Nel 2001 erano meno di centomila, ora sono tre milioni. Si inginocchiano di fronte alla morte e chiedono protezione per sé e per i propri figli. 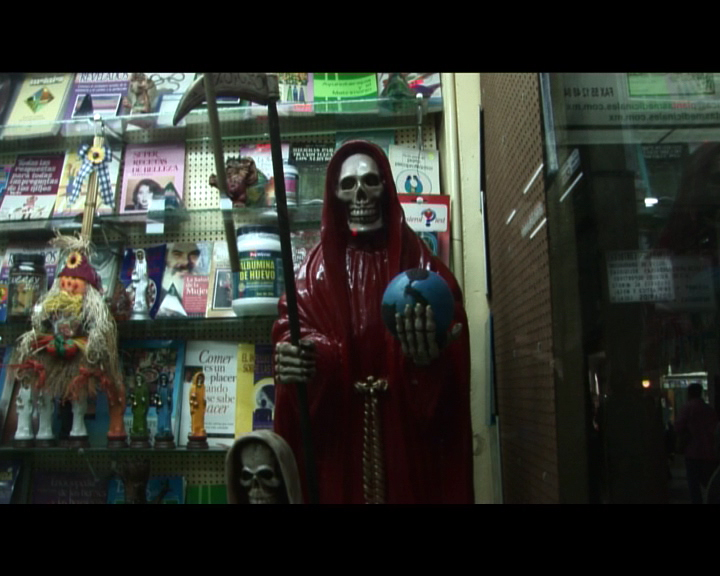 La devozione alla Santa Muerte ha già raggiunto Stati Uniti e Argentina partendo dall’enorme quartiere-mercato di Tepito, 30 mila bancarelle, due milioni e mezzo di persone, frastuono senza pausa. E’ sopra questo frastuono che abbiamo chiesto ad Egle di suonare. Una produzione Xing e Opificio Ciclope. Di buona qualità ma molto pesante. “Holy Death, protect us. 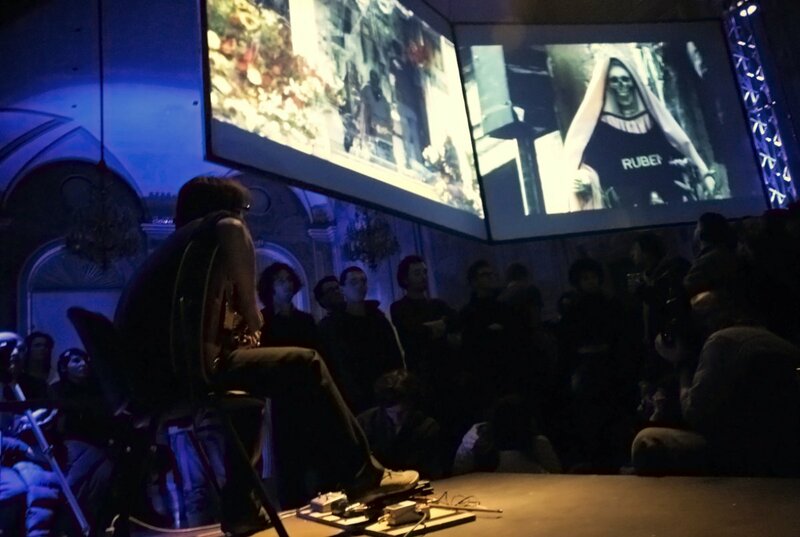 Holy Death, hear us. Holy Death, come into us. Holy Death, be with us…” These are the words of a prayer offered once a month before an altar set up on a street corner in Mexico City. 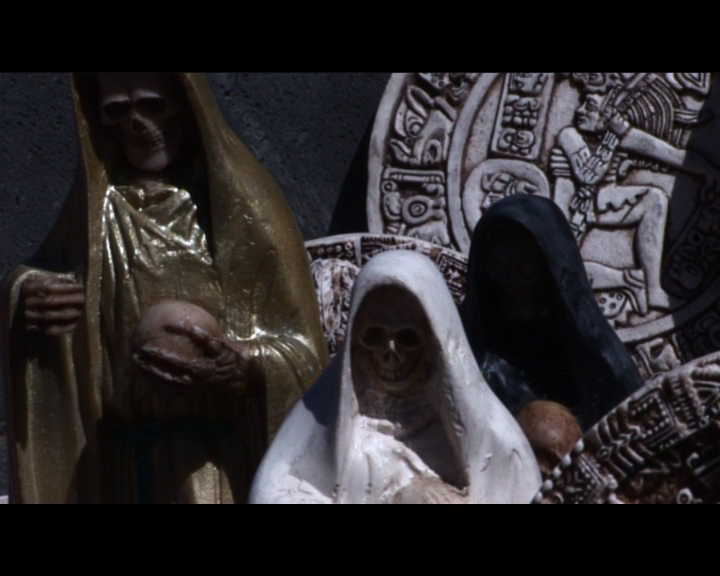 They are praying to La Santisima Muerte, or “Saint Death,” the female personification of death. 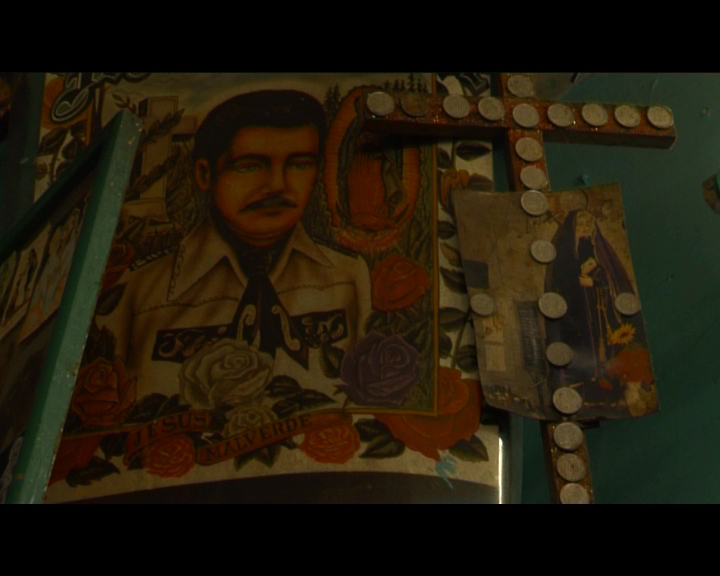 This documentary explores the unique religious subculture that idolizes death and has gained mainstream notoriety in Mexico for it’s poor and criminal following. According to one devotee, when death makes itself present on the streets and in the homes, it demands devotion. The only thing that can protect you from death is death itself. One man testifies that once two robbers got on a bus and demanded that everybody give them a five peso coin, so they wouldn’t have to steal all their belongings. 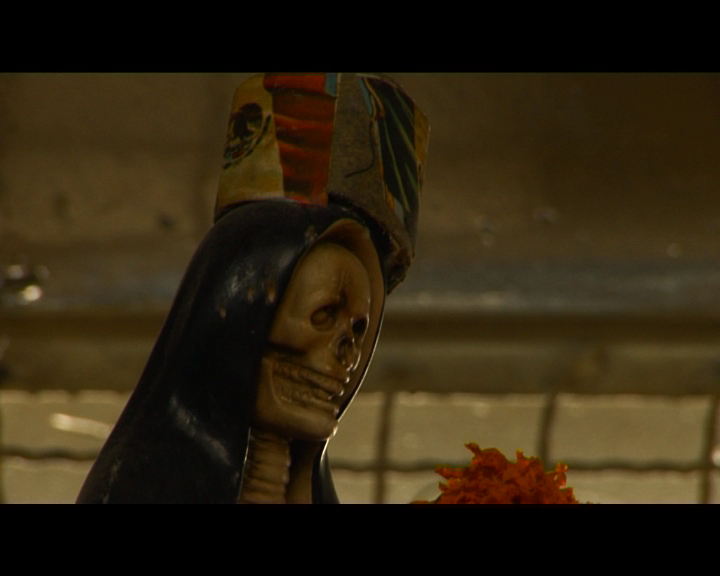 He says that he was about to hand over the coin when one of the thieves saw his image of Santa Muerte and told him to put away his coin because he respected the “little boss lady.” In their reasoning, Santa Muerte doesn’t allow anyone to mess with those who believe in her, and anyone who does, pays a high price. Some say that the worship of death started when criminals began to look for a patron saint to which they could entrust themselves. In the late 70s and early 80s a gang of satanic drug dealers began to kidnap people in order to offer human sacrifices. They even drank human blood on a few occasions. Eventually the human sacrifices were eliminated but the idea of worshiping death stuck. 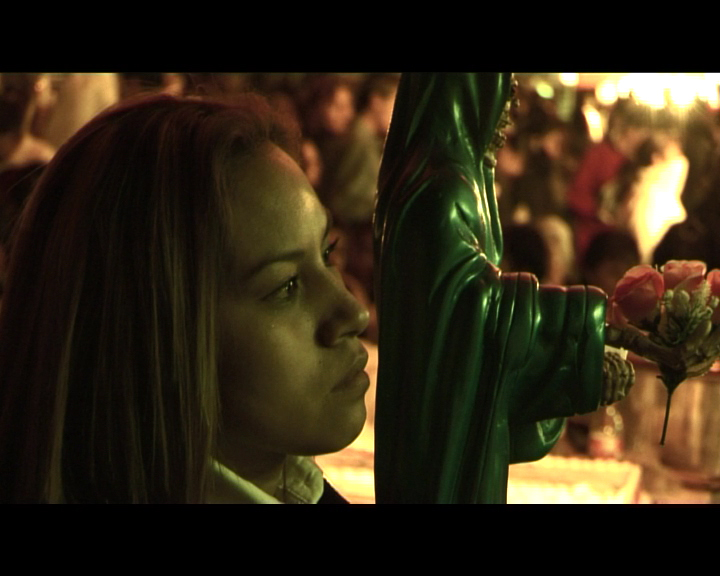 A Santa Muerte worshiper is simply somebody who is looking for something to believe in. 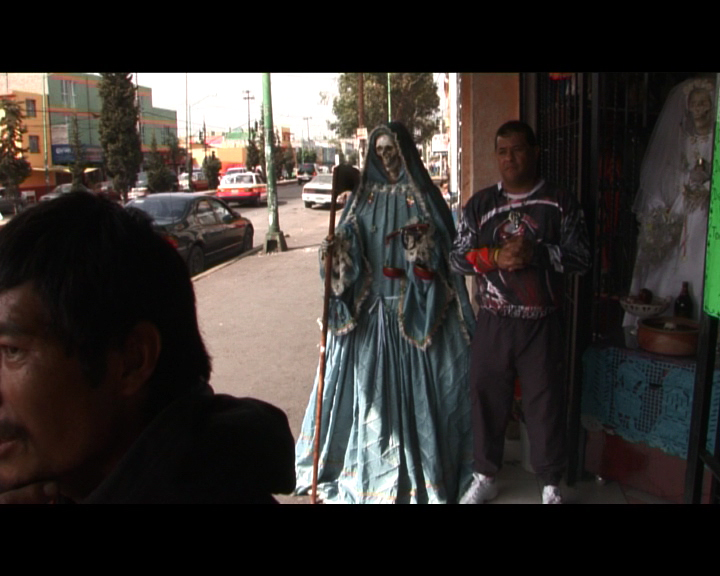 Santa Muerte believers claim that this Holy Lady has granted them the privilege of seeing and experiencing what can be found beyond this earth. Altars and shrines are set up in store windows and in churches. Devotees stop to cross themselves and pay respect to death by touching her wedding garments in awe. They invoke her to protect and clean their homes. Believers are encouraged to sense the presence of their dead loved ones because they have come to warn them of impending danger. Many claim that they are establishing a new religion because people are hungry to find out how to live better lives. 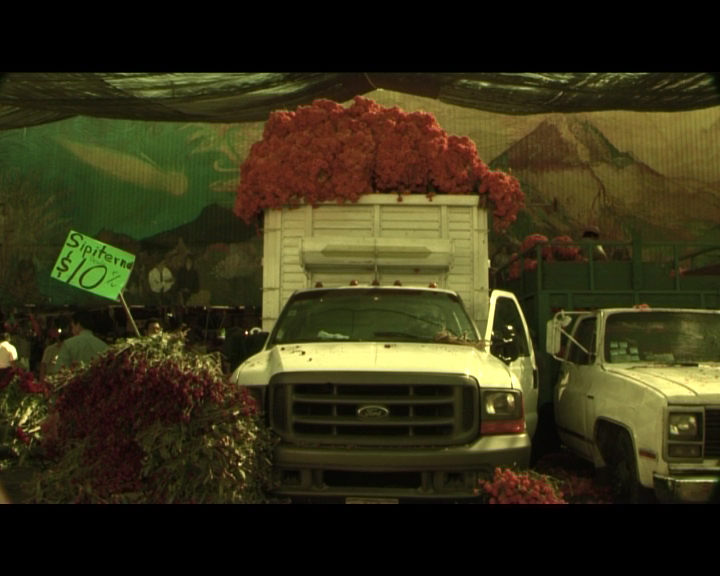 Hence, this has now become Mexico’s fastest growing cult. 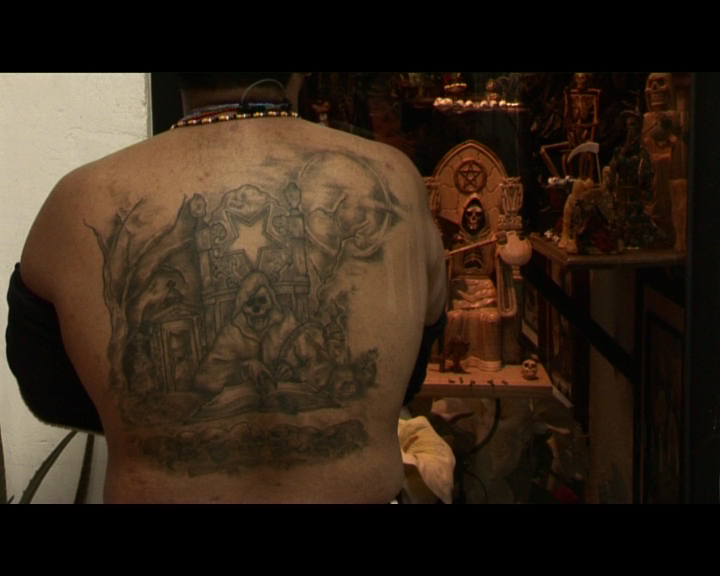 Interestingly enough, most Santa Muerte devotees continue to consider themselves to be Catholic.